PlayStation 5: How much does an 8K TV even cost? Sony has been working on its next-generation console, the PlayStation 5 (PS5), and on April 16 the company shared the first major details about their highly-anticipated next-gen hardware in an interview with Wired. After Sony revealed PlayStation 5 will support 8K graphics, there have been some questions about the cost of an 8K TV and whether people will be able to afford to buy one to complement their PS5 when it comes out. The promise that PS5 will support 8K graphics presumes that users will be able to afford TVs supporting that resolution. So, how much does an 8K TV even cost? Samsung announced the Q900R, its first-ever 8K TV for commercial release at IFA 2018. The company also announced the pricing for its new 8K Q900 QLED series in February 2019. The current pricing makes 8K TV a fantasy for most people. Samsung’s 85-inch Q900 started shipping in February 2019. The TV has a resolution of 7,680 x 4,320 pixels, about two times the resolution of your 4K TV. If you want the 85-inch Samsung 8K TV you should be ready to shell out $15,000. The smaller sizes are cheaper. 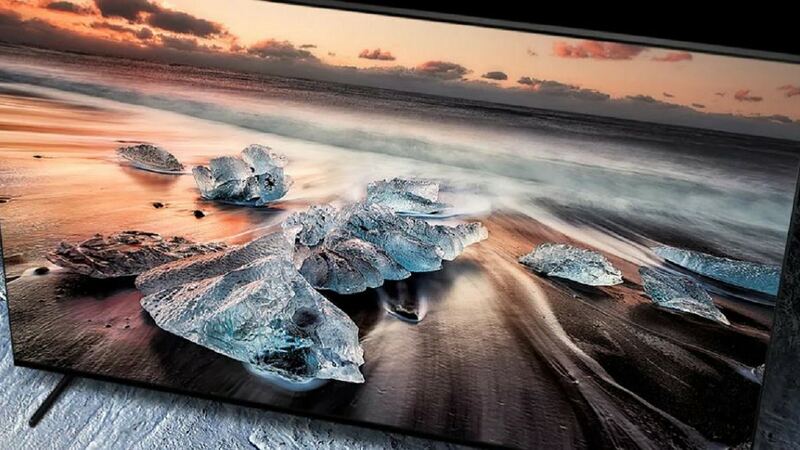 The 98-inch 8K TV set is expected to become available later in the year. 8K is considered perfect because the upper limit of the resolution of the human eye is roughly in the same range, although most people won’t be able to distinguish it from 4K. Beyond 8K, the human eye can’t tell the difference. This explains why pundits are predicting tech companies will have little motivation to invest in 16K or 32K for the future. Sony revealed that besides supporting 8K graphics, the PS5 will also have 3D audio, ray tracing graphics, and SSDs. It will also have backward compatibility with PlayStation 4 games. Due to the fact that the PS5 and PS4 have similar architecture, it is easier to achieve compatibility with the PS4 than it was with the PS3. Sony’s Mark Cerny, who was the lead system architect for PlayStation 4, is also working on the new console. He told Wired that unlike PS4 Pro, the upcoming PlayStation 5 isn’t merely a spec upgrade of PS4, but will be composed of new hardware. For instance, PlayStation 5’s eight-core CPU will be based on AMD’s third-gen Ryzen processor with the latest 7nm Zen 2 architecture. It will also have a solid state drive (SSD) in place of a hard drive and a custom GPU based on AMD’s Radeon Navi, which promises to introduce ray-tracing graphics to gaming hardware for the first time. Ray tracing is a computer graphics technique that allows in-game lighting to behave as light does in the natural world in various situations, such as reflection, refraction, scattering, and various dispersion phenomena. The technique produces remarkably realistic-looking visual and lighting effects, such as lifelike shadows, reflections, translucency, and scattering. It involves generating images by using an algorithm that is able to trace the path of light and then simulate the way that light interacts with virtual objects in the virtual worlds of computer imagery. The combination of 8K graphics, 3D audio on headphones and TV speakers, and replacement of the hard drive with an SSD for PlayStation 5 will enhance immersive gaming, drastically improve load time and gameplay. What is the release date for PlayStation 5? Although there is still no release date yet for the PS5, Cerny confirmed that it won’t be out in 2019. There are rumors that it could come out in 2020 as developers already have access to devkits to develop games for PS5.